The sunroom additions that SRA Home Products installs throughout Cape May, New Jersey, and beyond offer peace of mind to homeowners who are concerned about whether their investment will stand the test of time. 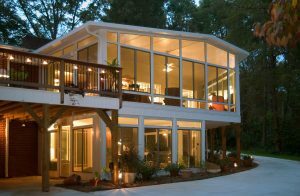 We understand that adding a new sunroom can be a big undertaking, which is why we make it a point to offer our customers the best possible products on the market. They’re built using heavy-duty, fully extruded aluminum, a material stronger than wood, vinyl, and roll-formed aluminum alternatives. In fact, they’ve been certified to meet national engineering standards for winds up to 100 miles per hour. Our sunroom additions are coated with TEMKOR polymer surfacing, which has been shown to protect against scratching, peeling, fading, chalking, denting, warping, and cracking. They include HPG 2000 glass, which is four times stronger than annealed glass. HPG 2000 glass also offers an SPF of 59 (upgradeable to an SPF of 85). Plus, if you’re still concerned about the durability of your investment, you can rest easy knowing that each of our sunroom additions comes with TEMO’s limited lifetime transferable warranty. This will be an incredibly valuable selling point if you ever decide to move to a new home, as it can be transferred to the new owner. If you’ve been considering adding one of our sunroom additions to your Cape May, NJ, home, please call SRA Home Products today. Our knowledgeable team can answer your questions and walk you through the stress-free design and installation process. We’ve been serving the Delaware Valley region since 1988. During that time, we’ve always maintained our commitment to quality products, superior craftsmanship, and unmatched customer service.